Gemini is the combination of two prior cooperatives, State House and Club 25, merged in 1972. Today, we have 30 active members that work together to encourage, achieve and lead each other. Our house partakes in many extracurricular activities with Purdue such as intramurals and Grand Prix. Living at Gemini also offers opportunity to meet a diverse group people in both academic majors and in hobbies. Club 25 was founded in 1952 by a group of 25 men from Cary Quad. 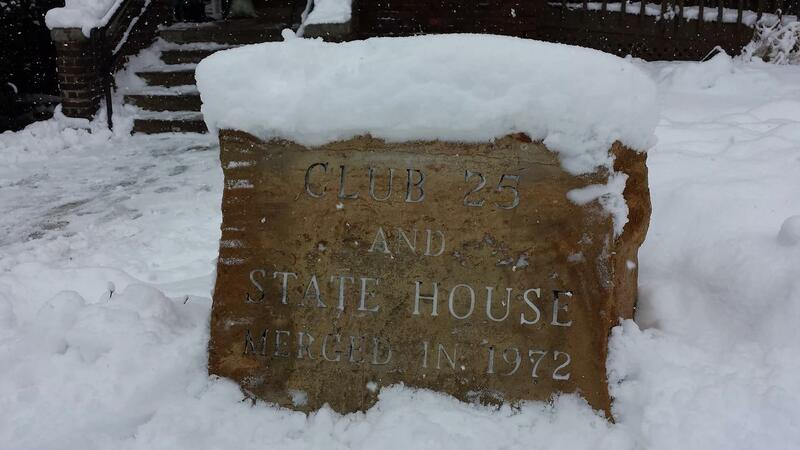 Club 25 House originally located at 415 State Street. Later they acquired the old Acacia fraternity house next door at 427 State Street. State House, also founded in 1952, was located at 1290 State Street. The group was housed in a temporary men's dormitory. When the dorm was destroyed by a fire, the insurance proceed and money from the E. V. R. Kneale fund financed a new State House structure. Both houses were owned by the University and leased to PSHC. Club 25 was torn down to complete the Graduate House Mall. However, the State House structure was saved and leased to the SAM's. The actual merger came in 1972, when PSHC purchased the Sigma Alpha Mu fraternity house. Gemini now resides in this house. Our address is 172 Littleton Street in West Lafayette, IN. Sitting atop a hill greeting Purdue travelers coming into the south side of campus. Our house has a great view of downtown Lafayette. are just a short walk away.